10 Best Thanksgiving Table Settings - What Style Will You Pick? 10 Best Thanksgiving Table Settings- What Style Will You Pick? We are headed to Arizona to celebrate Thanksgiving this year. And you bet, we will be setting the table in style! What will your table setting style be this year? Rustic, Modern, Eclectic? In my family, setting the mood is a tradition. It’s just as important as the feast. The scene helps to create the story of Thanksgiving and bring about feelings of gratitude for those around us, our health and the food on the table. We have collected the very best Thanksgiving table settings to share with you. What style will you pick? Enjoy, we hope they are inspirational. Please add to the list by linking your ideas and photos in the comments below. 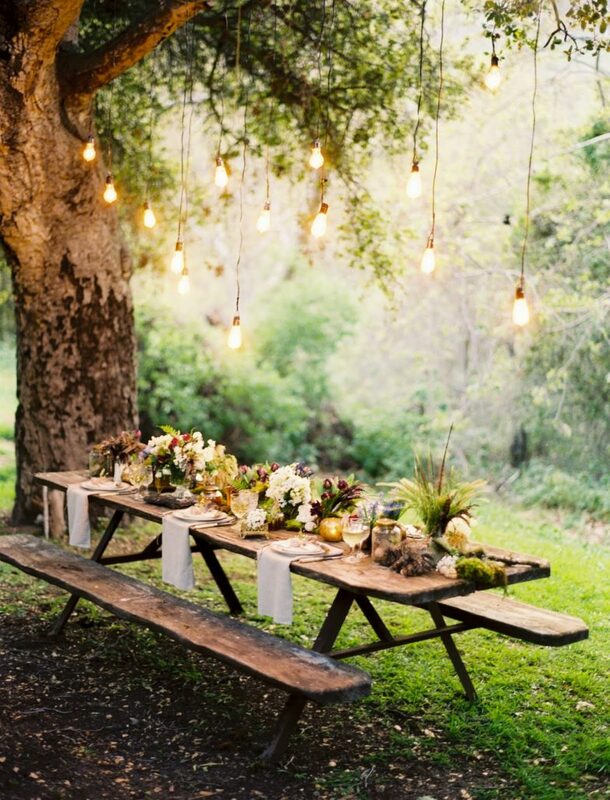 Details of the elegant picnic style tablescape are gorgeous. Here is the Iroquois Informal Harvest Time table by Ben Seibel 1958. Scandinavian designers and architects were very influential at this time, with a style characterized by simplicity, functionality and natural shapes. The table setting with its pops of deep colors such as orange, yellow, olive green and chocolate brown carry the Mid-Century theme. Warm amber stemware, dark molasses colored wood, leather seats, nail heads, woven mats and white linen napkins create a beautiful British Colonial style table setting. Raw, rough hewn wood table and spindle style chairs play up the Rustic style of this beautiful table setting. All types of festive pumpkins and squashes with floral sprigs and lit candles sit happily in a long garden planter box. What is your favorite table? How will you design your Thanksgiving tabletop? Please link your ideas to us by using the comment section below and if you like this post please “Like Us” on Facebook. http://spacecasedesign.com/wp-content/uploads/2013/11/Outside-Living-thanksgiving-Table.jpg 1600 1219 Kamaren Henson http://augustmoon.spacecasedesign.com/new/wp-content/uploads/2017/04/SpaceCaseDesign-Logo.png Kamaren Henson2013-11-14 19:48:462017-04-21 00:07:1710 Best Thanksgiving Table Settings- What Style Will You Pick? These ideas are beautiful, and just in time for Thanksgiving. Thank you for the wonderful suggestions. I like the picnic table with the light bulbs the best. I also love this country eclectic table. Found the picture on pinterest.